The annual ceremony of “Innovator of the Year” of the business newspaper Wall Street Journal noted innovators in the field of architecture, design , fashion, entertainment , technology and the arts. Museum of Modern Art in Manhattan, for the second day in a row opens its doors to famous guests. On Tuesday, Karl Lagerfeld , Anna Wintour , Sofia Coppola, Michael Bloomberg , and many other celebrated actress Tilda Swinton at a gala dinner MoMA Film Benefit in 2013 , and on Wednesday the guests of the event of WSJ Magazine. This year, on the evening of Wall Street Journal Magazine gathered Valentino Garavani , Andre Leon Talley , Karlie Kloss , Pharrell Williams and other celebrities. 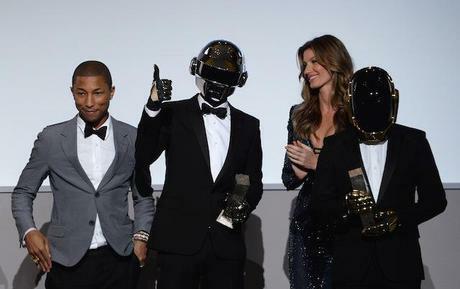 Supermodel Gisele Bundchen is shone on stage in a dress Atelier Versace, presenting the award to French duo Daft Punk in the category “Entertaiment Innovator”. Furthermore, among the winners of the influential business newspaper this time was marked by the main Dolce & Gabbana make-up artist Pat McGrath , owner of the architectural firm Nelson Byrd Woltz Landscape Architects ,Woltz Thomas , a 16- year-old London-based programmer Nick D’Aloizio , architect David Adjaye , and other outstanding personality of our time. 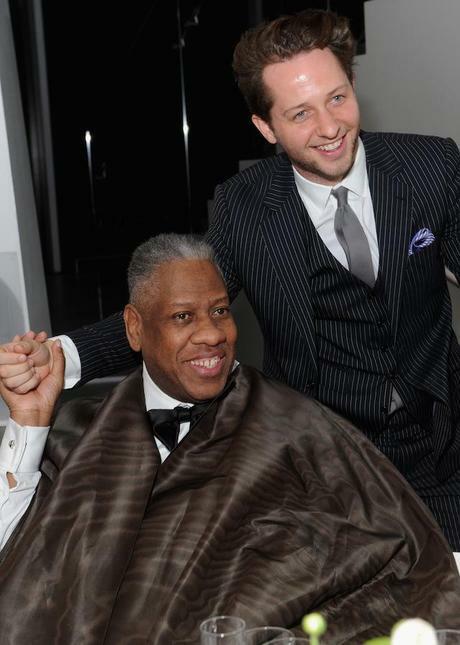 Andre Leon Talley and Derek Blasberg attends the WSJ. Magazine’s “Innovator Of The Year” Awards 2013 at The Museum of Modern Art on November 6, 2013 in New York City. Valentino Garavani and Gisele Bundchen attends the WSJ. Magazine’s “Innovator Of The Year” Awards 2013 at The Museum of Modern Art on November 6, 2013 in New York City. Tao Okamoto attends the WSJ. Magazine’s “Innovator Of The Year” Awards 2013 at The Museum of Modern Art on November 6, 2013 in New York City. Katie Nesher attends the WSJ. Magazine’s “Innovator Of The Year” Awards 2013 at The Museum of Modern Art on November 6, 2013 in New York City. Olivier Rousteing, Balmain’s 27-year-old creative director attends the WSJ. Magazine’s “Innovator Of The Year” Awards 2013 at The Museum of Modern Art on November 6, 2013 in New York City. Joseph Altuzarra attends the WSJ. Magazine’s “Innovator Of The Year” Awards 2013 at The Museum of Modern Art on November 6, 2013 in New York City. Philip Lim attends the WSJ. Magazine’s “Innovator Of The Year” Awards 2013 at The Museum of Modern Art on November 6, 2013 in New York City. Jessica Hart attends the WSJ. Magazine’s “Innovator Of The Year” Awards 2013 at The Museum of Modern Art on November 6, 2013 in New York City. Constance Jablonski attends the WSJ. Magazine’s “Innovator Of The Year” Awards 2013 at The Museum of Modern Art on November 6, 2013 in New York City.